Instantly downloadable sheet music by Samuel Sebastian Wesley for piano solo of MEDIUM skill level. Alle Notenausgaben von The Church`s One Foundation zum Herunterladen bei VirtualSheetMusic. Instantly downloadable sheet music by George N. Allen for piano solo of EASY skill level. Alle Notenausgaben von Must Jesus Bear The Cross Alone zum Herunterladen bei VirtualSheetMusic. Alle Noten von George N. Allen zum Herunterladen bei VirtualSheetMusic. Instantly downloadable sheet music by Lisbeth Scott for piano solo of MEDIUM skill level. Alle Notenausgaben von Crucifixion zum Herunterladen bei VirtualSheetMusic. Alle Noten von Lisbeth Scott zum Herunterladen bei VirtualSheetMusic. Instantly downloadable sheet music by James Alexander for piano solo of MEDIUM skill level. Alle Notenausgaben von O Sacred Head, Now Wounded (Piano Duet) zum Herunterladen bei VirtualSheetMusic. Instantly downloadable sheet music by Horatio G. Spafford for piano solo of EASY skill level. Alle Notenausgaben von It Is Well With My Soul zum Herunterladen bei VirtualSheetMusic. Alle Noten von Horatio G. Spafford zum Herunterladen bei VirtualSheetMusic. Instantly downloadable sheet music by John Darwall for piano solo of MEDIUM skill level. 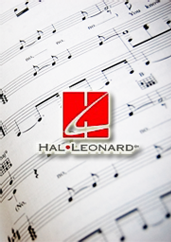 Alle Notenausgaben von Rejoice, The Lord Is King zum Herunterladen bei VirtualSheetMusic. Alle Noten von John Darwall zum Herunterladen bei VirtualSheetMusic. Instantly downloadable sheet music by Wes King for piano solo of MEDIUM skill level. Instantly downloadable sheet music by Kenneth Greenberg for piano solo of EASY skill level. Alle Notenausgaben von Only Grace zum Herunterladen bei VirtualSheetMusic. Alle Noten von Kenneth Greenberg zum Herunterladen bei VirtualSheetMusic. Alle Notenausgaben von Prayer For Taylor zum Herunterladen bei VirtualSheetMusic. Instantly downloadable sheet music by Henry van Dyke for piano solo of MEDIUM skill level. Instantly downloadable sheet music by Michael Sykes for piano solo of MEDIUM skill level. Alle Notenausgaben von The King Of Who I Am zum Herunterladen bei VirtualSheetMusic. Alle Noten von Michael Sykes zum Herunterladen bei VirtualSheetMusic. Instantly downloadable sheet music by Will L. Thompson for piano solo of MEDIUM skill level. Alle Notenausgaben von Softly And Tenderly zum Herunterladen bei VirtualSheetMusic. Alle Noten von Will L. Thompson zum Herunterladen bei VirtualSheetMusic. Instantly downloadable sheet music by Joseph Funk for piano solo of MEDIUM skill level. Alle Notenausgaben von How Firm A Foundation zum Herunterladen bei VirtualSheetMusic. Alle Noten von Joseph Funk zum Herunterladen bei VirtualSheetMusic. Instantly downloadable sheet music by William Henry Draper for piano solo of EASY skill level. Instantly downloadable sheet music by Luther B. Bridgers for piano solo of MEDIUM skill level. Alle Notenausgaben von He Keeps Me Singing zum Herunterladen bei VirtualSheetMusic. Alle Noten von Luther B. Bridgers zum Herunterladen bei VirtualSheetMusic. Instantly downloadable sheet music by Robert Sterling for piano solo of MEDIUM skill level. Alle Notenausgaben von Jesus Will Still Be There zum Herunterladen bei VirtualSheetMusic. Instantly downloadable sheet music by Mark Hall for piano solo of EASY skill level. Alle Notenausgaben von If We`ve Ever Needed You zum Herunterladen bei VirtualSheetMusic. Instantly downloadable sheet music by Timothy Dwight for piano solo of MEDIUM skill level. Alle Notenausgaben von I Love Thy Kingdom, Lord zum Herunterladen bei VirtualSheetMusic. Alle Noten von Timothy Dwight zum Herunterladen bei VirtualSheetMusic. Instantly downloadable sheet music by Richard Birch Hoyle for piano solo of MEDIUM skill level. Instantly downloadable sheet music by Christian Henry Bateman for piano solo of EASY skill level. Alle Noten von Christian Henry Bateman zum Herunterladen bei VirtualSheetMusic. Instantly downloadable sheet music by Lela Long for piano solo of EASY skill level. Alle Notenausgaben von Jesus Is The Sweetest Name I Know zum Herunterladen bei VirtualSheetMusic. Alle Noten von Lela Long zum Herunterladen bei VirtualSheetMusic. Instantly downloadable sheet music by George C. Stebbins for piano solo of EASY skill level. Alle Notenausgaben von Take Time To Be Holy zum Herunterladen bei VirtualSheetMusic. Alle Noten von George C. Stebbins zum Herunterladen bei VirtualSheetMusic. Instantly downloadable sheet music by Peter Williams for piano solo of MEDIUM skill level. Alle Notenausgaben von Guide Me, O Thou Great Jehovah zum Herunterladen bei VirtualSheetMusic. Alle Noten von Peter Williams zum Herunterladen bei VirtualSheetMusic. Instantly downloadable sheet music by Jerry Salley for piano solo of MEDIUM skill level. Alle Notenausgaben von His Strength Is Perfect zum Herunterladen bei VirtualSheetMusic. Alle Noten von Jerry Salley zum Herunterladen bei VirtualSheetMusic. Instantly downloadable sheet music by Wendy Page for piano solo of MEDIUM skill level. Alle Notenausgaben von Perfect Moment zum Herunterladen bei VirtualSheetMusic. Alle Noten von Wendy Page zum Herunterladen bei VirtualSheetMusic.